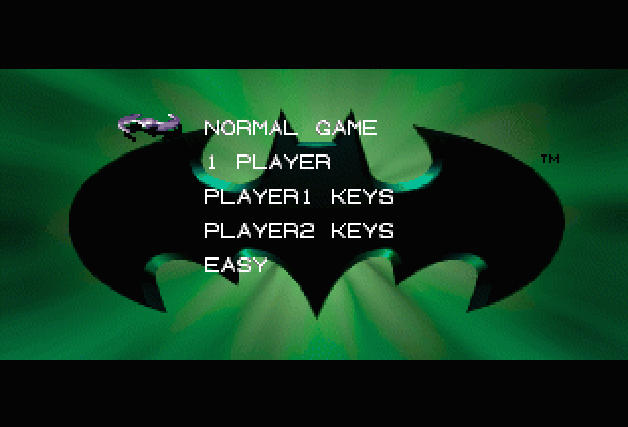 For a game that boasts a blockbuster title, the action in Batman Forever is about as yawn-inducing as it gets. 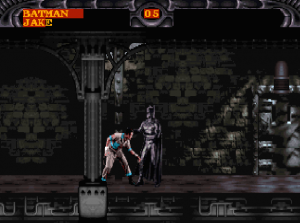 Playing as either Batman or Robin (or both, in two-player mode), you move from screen to screen, mopping up baddies with the usual assortment of punches, kicks, and special weapons of your choosing. 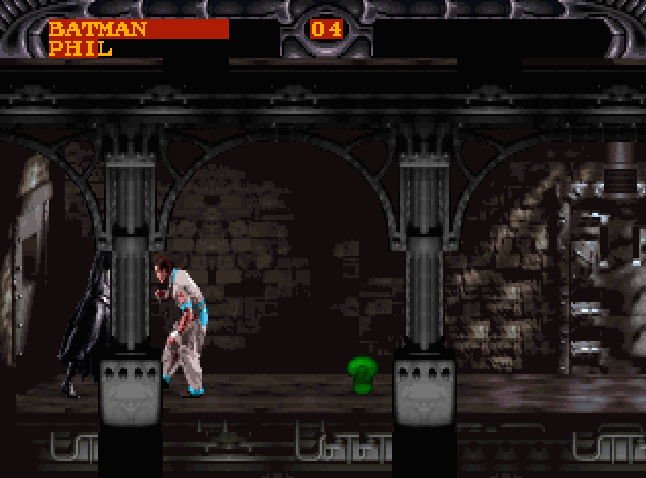 Throughout the eight excruciating levels, you’ll find power-ups, uncover secret passages, and stumble across traps. To make things more interesting, you’ll have to figure out which special tools to use to advance past certain obstacles. 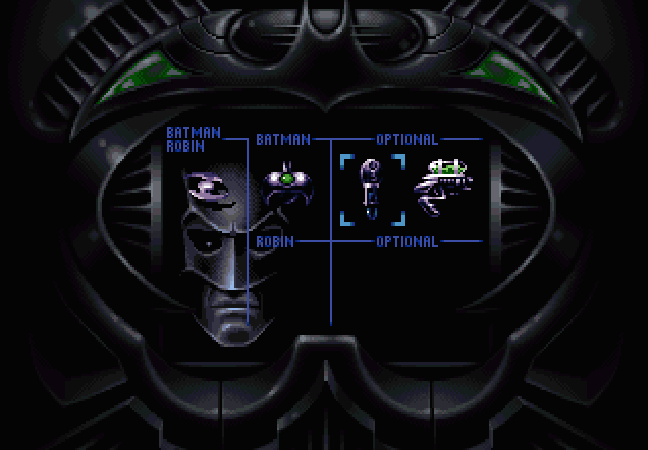 Now, there’s no problem with the basic concept; most of us have played and enjoyed plenty of platform games, like Blackthorne or Flashback. 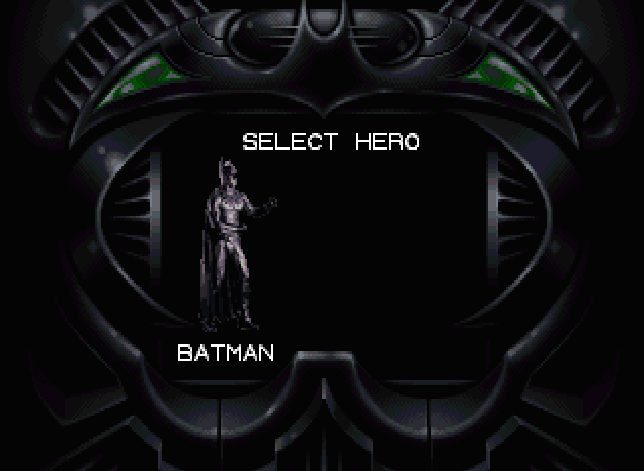 It’s just that Batman Forever doesn’t even come close to being half as satisfying. It looks as if it were made about three or four years ago, and it doesn’t play much better. Just like in age-old videogames like Double Dragon, once you’ve beaten the villains, they fall to the ground, begin blinking, then simply vanish. Worse still are the controls. You can’t make Batman or Robin run; the best they can hustle up is a steady (and unintentionally funny) power-walk. The character animations are the product of motion-capture technology, but they’re jerky and unconvincing, and the interface is a downright clumsy affair, forcing you to execute special moves just to use a weapon, rather than simply letting you choose one and press a punch or kick button. 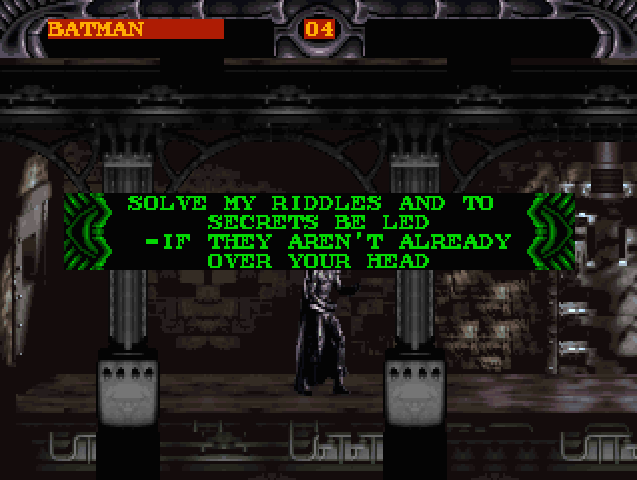 It took me five minutes just to figure out the grappling hook! Blech.